Shrove Tuesday is the last day before Lent. Traditionally, pancakes are eaten before the fasting season begins. 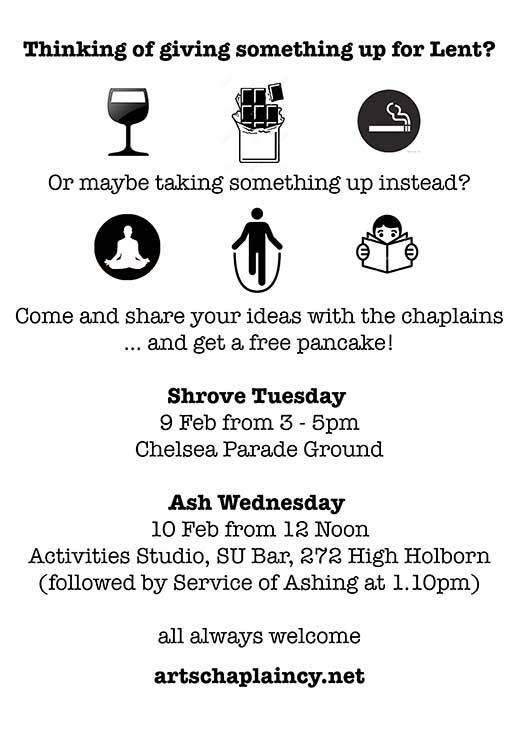 Come and get your freshly flipped pancake in Chelsea Parade Ground at 3pm on Tuesday 9 Feb.